ORDER VALENTINE'S DAY DESSERTS TODAY! Check out our Cake and Specialty Desserts Menus for more options! 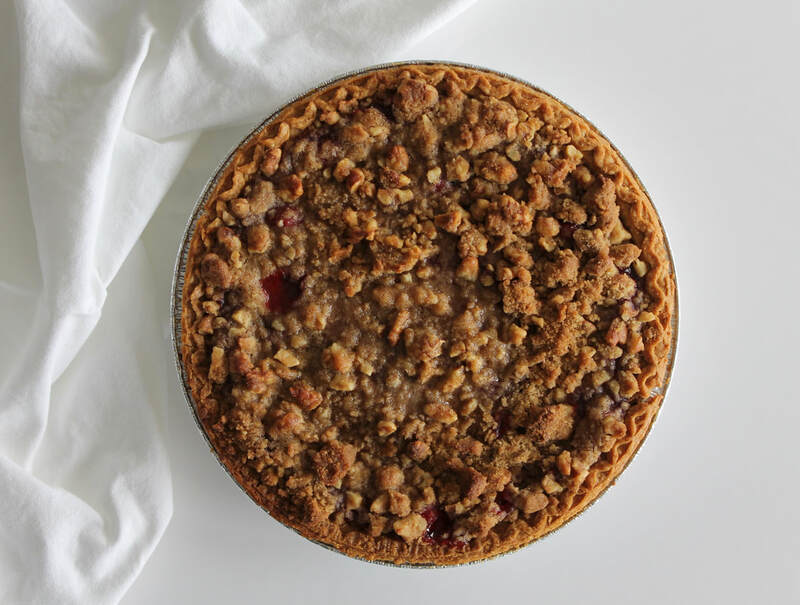 Sweet and slightly tart cherries baked in a crisp crust, topped with a buttery oat streusel. All items must be ordered by Sunday, February 10th for pick-up on Tuesday, February 12th at the Boalsburg Farmers Market from 2- 6 pm. Moist and tender chocolate cake topped with a rich chocolate frosting - every chocolate lover's dream dessert!